DS1925L-F5# Are Now In Stock! Following the release of Maxim’s latest iButton Thermochron model, DS1925L-F5#, there has been a lot of anticipation for these loggers to hit our shelves. As of August 14, 2017, EDS is happy to announce that the DS1925L is now in stock and available for immediate shipping. Nonvolatile memory enables logger data to be collected after battery depletion. Battery voltage reported - making calculating the remaining life straight forward. These are sure to fly off the shelf, so place your orders now and for a limited time enjoy free domestic shipping on your DS1925L order of $500+ using code REW6QR (offer expires December 20th). 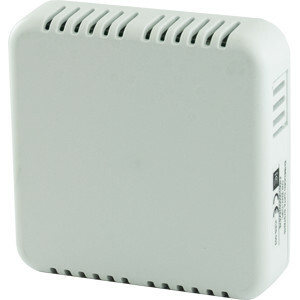 In 2012 EDS entered the wireless sensor industry with the introduction of our MeshNet Environmental sensor line. The combination of elegant design and industry standard communication protocols has led to the wide acceptance of the MeshNet Systems across numerous platforms. The MeshNet System introduced a fast and reliable way to set up a robust wireless network. With its polished commercial aesthetics design the MN-ENV sensors were rapidly distributed worldwide to serve in IOT applications ranging from home automation to the cold chain industry. All while making its mark as EDS’ most enticing product design since the OW-SERVER. Enhanced transmission range (approximately 10x). Memory on board with a storing capacity of up to 1024 sets of readings. Improved low power energy efficient design. Wireless linking with the MeshNet Controller. Adoption of globally accepted 2.4 GHx. EDS Scanner locates all MeshNet Controllers immediately. To learn more about our Generation 2 sensor and place an order, visit MeshNet Gen 2 Details. Although the iButton Thermochrons are water resistant; they are not waterproof. This leaves them susceptible to water damage if exposed to wet environments. A water damaged Thermochron is not only a financial burden, but the data loss can be irreplaceable. In efforts to help prevent logger failures due to moisture ingress we have compiled a list of different methods to waterproof your iButtons. 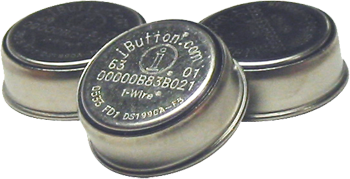 For applications where the monitoring environment is known to be hazardous for Thermochrons, we also recommend the use of the newest model of the iButton Thermochrons (DS1925L) which features a nonvolatile memory that is readable with a depleted battery (the most common failure point for water damaged loggers). EDS is now offering a new variation of the iButton Key Fobs in our standard colors and featuring a new light blue color. These fobs are equivalent to the Maxim DS9093Ax, offering a secure hold for the Maxim iButtons with a F5 MicroCan at a very competitive price. Interested? Then check our competitive pricing and availability.